Have you ever tried going one full day without complaining? Complaining is often a daily habit that from the moment we wake, we start doing without even noticing. But how would your life be different if you started your day by asking yourself what’s great instead of what’s challenging? 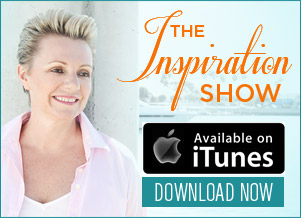 On today’s special episode of The Inspiration Show, my guest and author of the book “This Messy Magnificent Life”, Geneen Roth, shares her fascinating transformation, going from self-hatred to over a year without complaining, and reveals the powerful process that made it happen. NL: Hi everyone! My name is Natalie Ledwell and this is the Inspiration Show. 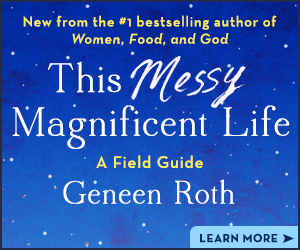 Today on the show I have a very special guest who has a new book out called "This Messy Magnificent Life", who's talking about how we can look at the daily things and situations that come up for us and how we can deal with them in a very empowered way. 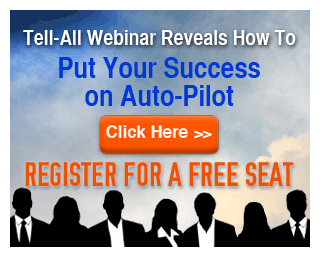 But before I introduce my special guest today, let me just remind you that if you are watching this show live on Facebook or on our YouTube channel afterwards don’t forget that after the show is over, if you click the link below the video, you can take my 30-second quiz, so we can figure out what’s holding you back from success. Okay, so pleased I’m gonna introduce my special guest today, Geneen Roth. How are you, Geneen? GR: Great. Great, happy to talk to you. It’s always so exciting to be on video. NL: "This Messy Magnificent Life" - I mean I don't think there's one person that's watching the show right now that can't relate to some part of that. And we're actually gonna be delving into a deeper conversation about what that is and how we can navigate through that. But before we do that, why don’t we start a little bit about your story and your background and how you got into doing the work that it is that you do. GR: Yes. Well, most of my work up until now has been about using the relationship with food, the conflicted relationship with food and body weight that many people have like a doorway to their inner lives, to their core beliefs about what's enough and deprivation and scarcity and nourishment and pleasure and delight and things like that. And then I decided to expand it because I realized that in my own life, which felt quite messy at times, I did not have a get-go. I just didn’t know how to get from the messiness of everyday life, which every day it felt like something else was going on, back to what I call the magnificence or the using the messiness as a way to transform how I felt about myself and being alive and that had to do with my students, too. So I really wanted to get in there, into the integration of how all this stuff that I taught about food and change and love. What did that have to do with how I woke up in the morning. And you know how I walk to the bathroom and how I talk to my husband and my friends. And so that's what this book is about. It tackles everyday issues, low-level anxiety, discontent, dissatisfaction, the way we blame ourselves and blame other people and things like that. NL: Right. So how should we be waking up in the morning? GR: Well, first of all, it's realizing that we're alive. We made it through another night. Here we are. Yeah, yahoo! Another day of fun. That's what I say to myself almost every day. So there’s that. There’s waking up and realizing oh, I’m in my body. Here I am, I am breathing, that’s a good thing. Checking into what’s right instead of what’s wrong and focusing on that. Asking yourself what’s not wrong. Sensing your arms, sensing your legs, realizing you have a body. You know most of us live like James Joyce called it in his Ulysses book - Mr. Duffy lived a short distance from his body. And what we’re trying to do is actually live in these bodies and use the power of these bodies. Really the power and the fact that we’re here on Earth, we’re not just walking minds, to express what we wanted, what we need, to say no. To use our internal GPS system that we already have by virtue of having a body and being incarnated here. NL: Yeah. Beautiful. So can you describe like one or two of the messy situations you address in the book? GR: I certainly can. You know, I’ll talk for instance about the fact that I complained all the time. So every day, every day I'd notice that I'd wake up and I would have a litany of complaints. Oh, I didn't sleep enough. Oh, I don't like the way that my friend talked to me yesterday. Uh-oh, I wish this wasn't happening – it was just, I mean, that's a little more exaggerated than how I wake up, but there was a pall of negativity on, and I didn't even realize it, on just sort of daily life. And so becoming aware of that. Number one, I started with that practice, ask myself, what's not wrong? Number two I started the non-complaining practice of that’s the generalized everyday practice that was just to deal with how I felt about every aspect of being alive. What I ate? Where I walk? What I saw? How I talked? How somebody talked to me? So I stopped complaining and that’s as I say, a fierce practice, because most of us don’t realize that the bulk of our conversations are complaints and that there are exchanges of complaints and that’s what we call relating to people. NL: Yah. I know exactly, and that’s the thing that you know, we teach a lot here in Mind Movies about how to focus on what it is that you do want, how you use language around the goals that we wanted, all the things that we want to create. But then when we’re doing that and then we’re then talking negatively and passing judgment and complaining, it’s like we’re sending these mixed signals out into the universe as to, you know, on how we’re showing up. GR: Yes, that’s right. Yes and I think the other practice that I talk about is well, I talked about asking myself what’s not wrong, that’s that. And the non-complaining practice and then there’s just really turning towards rather than away from what it was some discomfort. So I wrote a piece in the book called the four-month virus. I was sick for four months when I started writing this book and I was just like seriously, really? I have this four month virus? What about those trips? What about all the writing? What about all my plans and I was so achy and uncomfortable and in a lot of pain and in order to tolerate getting through that I really had to accept. So the acceptance was the first. Being with was the second. And seeing what I could change versus what I couldn't change. That was the second. You know one more thing I do want to say which is related to the first two that I write about in this Messy Magnificent life is that my husband and I lost every cent of our money. Every cent of 30 years, and when one of my teachers said to me right afterward, you know nothing of any value has been lost and I said to her this is not the time to be spiritual. And you know I realized that it actually was the time to be spiritual and to start focusing on what I could find and what wasn't lost and I realized in that process, that it is possible to train your mind, to practice so that you really do see the wonder and the magnificence of daily life. And turn them back the messiness of losing every cent of your money for 30 years, which was shocking and horrifying and terrifying, into another way of being with it. NL: Yeah. Absolutely. So I know that you and committed to a year of no complaining. I know it’s been a little bit longer than that now but how did that, what did that shift for you? GR: Everything. You know that’s what I would say. I would say that what happened in the year of not complaining is that I started focusing on what was right, not what was wrong, on the good in a situation and also feeling myself much more capable and much more powerful of changing what I didn’t want to keep participating in, because the complaints kept me on a hamster wheel of just this is wrong and that’s wrong and can be running in place is what I would call complaining. When I stopped complaining not only did I give myself another vantage point, or viewpoint from which to look at a situation, but also because I, in my own mind, I stopped complaining about anybody else. I was able to actually question where might they have been coming from, that isn't the story that I'm making up like they don't like me. They didn't read my email. They didn't respond to the text. They did this. They did that. And sometimes, most of the time, the story I was making up, then I would have complained up to Matt about or a friend about, having nothing to do with what had actually happened, and that was shocking to see that I could actually trust in the goodness. Give other people the benefit of the doubt in terms of where they were coming from. But while I was complaining, that wasn’t even a possibility. NL: Yeah. And isn’t it amazing how when you start complaining that all you see is the negative but when you can shift that perspective just a little bit, to start looking at for what the positive is, it completely changes your energy, the energy of the day and all of a sudden all these good things keep coming in. GR: Yes, that’s right because there’s a particular lightness and an energetic resonance about not what happens when you don’t complain, it’s that you accept that what’s happened has happened, and since there’s no way of making what’s happened not happened, you know it already happens, there’s nothing to do about it. It’s a totally useless thing, it’s like saying gee my life would have been better if I’d only been born with brown eyes instead of blue eyes or curly hair instead of straighter. Well, guess what honey, that boat has sailed. And so the fact that I kept complaining about the boats that had sailed was working against the energetic sort of alignment of the universe, so to speak. And so not complaining as a way of aligning yourself with what's actually happened so that you and the universe are on the same side. You're not fighting, you're not at war with yourself. You've dropped the war and that is so helpful. NL: Yeah and it also sounds like by doing that releasing that negative emotion and negative energy around, that you're starting to free yourself out to vibrate or resonate at a higher frequency which is the - we have abundance, which is a frequency of the universe. So for that flow then to be able to be opened up. GR: Yes, by assuming and by living as if it was already here, that things were already right, right even though I couldn’t see that but because I couldn’t complain about it, then I was sort of like ugh, now what do I do, I can’t complain about it but there was this kind of, but it’s already happening, and so it forced me - it was like being forced into a warm, warm bowl of goodness and lightness just because I couldn’t complain about it. It was extraordinary and it still is because I’m still engaging that process. NL: And it sounds like you get to change the story, I mean the event, and for me I think there's 20 sides to every event or every story, but choose the version of the story that's most serving you. GR: Yes because I realized I had a choice about what story I was telling myself. It’s not, it’s just what you said. It’s not like there was one story, there were many stories that I kept choosing the most negative one, the most -the one that cut me off at my knees - the ones that assume that other people were up to no good and I felt like a little curmudgeon, you know, like hanging out in this little corner of my heart instead of, you know, having instead of occupying the big space that I was constantly being invited into but I kept saying no, I have to hang out here because things are bad and so it was that, it was. And that’s really what I wanted to write about, the process of shifting what seems like it couldn’t be shifted because I felt like whoa I grew up with negative people and a negative take and all these negative, difficult, abusive experiences just inscribed into my nervous system, there’s nothing to do about it, but actually there was. NL: Yeah, And it sounds like it doesn't matter what circumstances people come from, what age they are, where they live, that it's possible for everyone to be able to do this. GR: Oh yeah. I work with people in my retreats and workshops from age 18 to 85. I just don’t feel like there’s any, it’s all the same because you know, you can be 85 years old and still not be a grown-up. You can be 85 and still have a two-year old inside you that’s sort of saying what’s wrong, people did me wrong, you know. I didn’t get what I deserve. I don’t like the way this ended up. And so that’s what we start questioning no matter how old you are, so that there can be that lightness and goodness in your life, the magnificence so you can use the messiness, that's why I love that title. I actually got that title well, first of all, it's a line in a book but also a waitress at a restaurant when I’ve been thinking about another title and I mentioned this Messy Magnificent Life she said that one. I can relate to that one, everybody can relate to that one and I thought okay that’s it. NL: Yeah. So um, and this book is a little different to the ten you’ve written beforehand, because it was more like a relationship with food. So what do you think was the biggest insight you got from writing this one? GR: That it's really possible in the middle of everyday life no matter what situation there is, first of all, no situation that's unworkable, there's no feeling that's un-feelable, that nothing will shatter you when you pay attention to that which is bigger than the feeling, you know I - because there's a feeling and then the space through which that feeling passes through. And so I feel like I started out writing this book feeling somewhat and secretly damaged. I mean after all I had written all these books that I was an expert, you know, on Oprah a couple of times and still I felt like oh something’s wrong and maybe I’m an impostor. And so I, that was the insight, that there was no situation that was unworkable and then it was possible to use the challenges, the messiness, the just the huge sort of impact of everyday life to use the various situations we’re faced with every single day as a doorway to lightness, to benevolence, to magnificence, to transformation and one by one that’s what I do in the book. NL: Yeah, I am so excited to read the book because I, and I know everyone that’s watching this show right now, can relate to this, you know. We have situations that show up in our life. Life is not, it’s like, smooth sailing. Yes we have curveballs and things come in, but then to be able to read a book like this and understand how we can see those situations as gifts and as opportunities to grow and to become a better version of ourselves, it’s just so wonderful. So Geneen, where can we send people if they want to connect with you and get their hands on the book? GR: Yes, right, well they can go to my website geneenroth.com then there's a big page about the book there, and that's probably the best way to get it. Yeah, geneenroth.com of course you know you can go to your local bookstore, you can go to amazon.com. I mean there are five different places to get books. If you want to find out more about me and also more about the book, there’s a big page about the book there as well. NL: Beautiful. Now we will have the link underneath the video, we’ll have the banner to the side of the video so you can click there directly to straight through to Geneen’s website from there. So Geneen, thank you so much for joining me today. Pleasure always chatting to you. GR: Oh thank you Natalie. Really thank you. NL: Now guys I encourage you to share this video. You can do that by clicking the Facebook and the Twitter share buttons on this page. 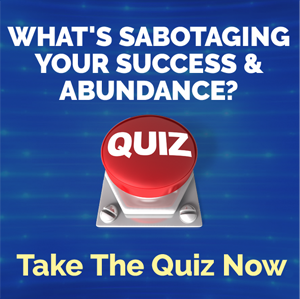 And also don’t forget after the show is over to click the link below the video so that you can take that 30-second quiz so we can really figure out what’s holding you back from success and help you through that. So guys until next time, remember to live large, choose courageously and love without limits. Alright see you soon.